The MUTCD is a document that is produced by the Federal Highway Administration. The National Committee on Uniform Traffic Control Devices simply offers proposed language that the FHWA considered prior to producing the final language in the document. I volunteered to write my first Section, which was a fairly simple undertaking because the existing language in the MUTCD is two sentences. My proposed additions to provide green is shown below in green. 01 A symbol (see Figure 9C-7) may be placed on the pavement indicating the optimum position for a bicyclist to actuate the signal. 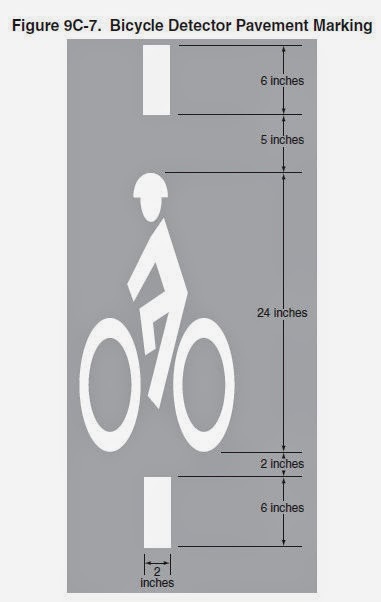 02 An R10-22 sign (see Section 9B.13 and Figure 9B-2) may be installed to supplement the pavement marking. A sample of what is proposed by the language. 03 Green may be used in combination with the bicycle detector symbol where a light colored pavement does not provide sufficient contrast with the markings. C. Provide contrast to improve understanding and used in combination with the bicycle detector symbol where a light colored pavement does not provide sufficient contrast with the markings. The study that Portland State University completed on this treatment is linked here. I like the non-green/non-boxed version better. 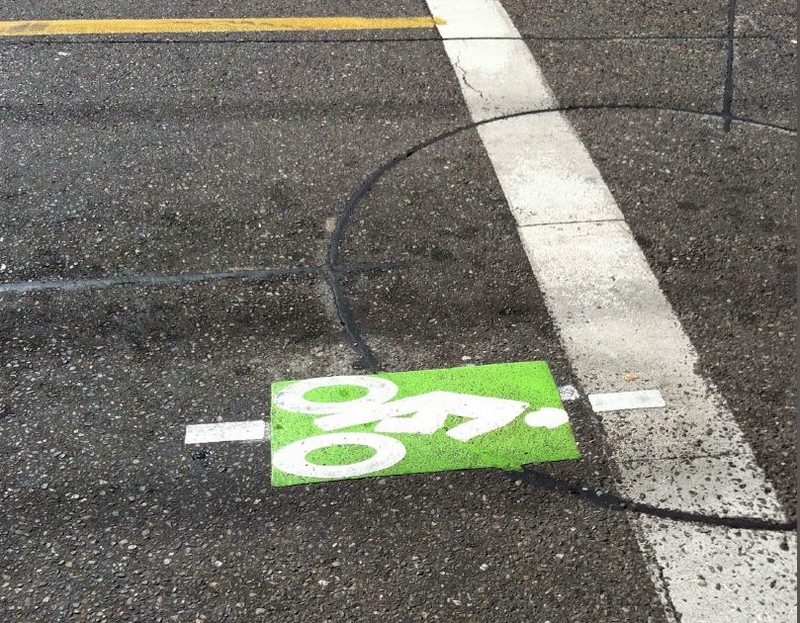 It does a better job nudging a cyclist to line up properly. Perhaps another shape? Diamond?